At the time of preparing this market report the world, and Europe in particular, is once again facing great uncertainty. Many of us thought the worst was over when our economies seemed to have weathered the initial storms and begun their slow return to growth, with gradual recovery a reasonable expectation. Now, just three years on from the financial crash brought on by the subprime crisis, we seem to be facing another financial crisis – and the dark clouds of recession gather menacingly once again. A normal macroeconomic downturn has been exacerbated by a private sector crisis in 2008 and a public sector crisis in 2011. As a result, the little solid footing we thought we had is fast turning to quicksand and the markets are reacting accordingly, fluctuating wildly but mostly downwards. In times like these, confidence is a concept lost and economic boom an almost unimaginable state, so we turn to those things that offer solidity – like gold, land and, in some cases, bricks and mortar – and wait out the storm. The closing months of 2011 should bring clarity one way or another, and though many possible scenarios are currently being sketched, from dissolution of the Euro and even the European Union to a satisfactory solution to the sovereign debt crisis and accompanying financial instability, it is important to remember that things are never quite as critical as they might seem at a time like this, just as they are never quite as wonderful as they seem during periods of boom and plenty. Discussing these topics we look back at the report published last year, checking to see if we got it right. At the time, most economies were slowly emerging out of recession and posting tentative growth rates, the financial markets had rallied to an extent, and though gold was high and many real estate markets still in a bad state, the mid to higher end of the property market in Marbella was performing encouragingly, with price levels seeming to have bottomed out yet offering great value. In other words, locally the market seemed to have adjusted its output and price levels to a point where price and product were once again attracting buyers, conditions were optimal for early (mid to longer term) investors and the Marbella property market showed early signs of gradual recovery. We predicted bleak recovery for this segment of the market, affected as it is by the greatest of the housing market’s problems in terms of volumes of unsold stock and low demand. Much of this stock remains in the hands of banks that have collectively repossessed thousands of units and are therefore an important player in this segment. An initial scare involving the poor solvency and possible collapse of some of the country’s banks was abated by the actions undertaken by the Spanish government to restructure and recapitalise the weakest among them, as shown in the results of a European-wide Banking Stress Test earlier in the year. As a consequence, the banks stopped short of flooding the market with cheap real estate, but have been offering the properties on their books at heavily discounted prices, both directly and through collaborating agents. While the overall prospects for this segment haven’t improved, or deteriorated for that matter, prices have continued to fall in places and attract investors who are snapping up apartments at up to 50 per cent or less of their 2007 price tags. As a result, it is now possible to buy a golf-fronting apartment for €120,000 that would have commanded more than double that price some years ago, or a modern town apartment for €70,000 instead of the original €160,000. Prices like these are slowly tempting back buyers, though given the numbers of properties involved this is a process that is likely to take years before the current stock is completely absorbed. While the events of the past few months have not significantly altered the prognosis for the market of lower-end holiday homes on the Spanish Costas, the country’s primary housing market is likely to be more strongly affected by the financial crisis facing especially Southern Europe at present. Just as banks appeared set to start lending more freely again, the current uncertainty and limitations on access to funds stopped the process in its tracks. If the current sovereign and banking debt crisis of Southern Europe is not resolved or at least contained effectively, it is likely that countries such as Spain could dip back into recession for the coming year or two. This, combined with a very low level of mortgage lending would effectively freeze the national housing market, setting the initial process of recovery back by at least two years. As ever, luxury housing has proved more robust than the other two segments. This particularly holds true for the best real estate and for areas that are consolidated and highly desirable. In such locations demand has remained very constant and prices have dropped very little, though buyers have also been tempted back by the greater discounts on luxury homes in newer, less established residential areas. During the height of the property boom it was almost impossible to come across a villa on the Costa del Sol for much under a million euros. That situation has changed, bringing the smaller and older villas, as well as those in less exclusive areas, to within reach of a larger audience. It is now not uncommon to find freestanding homes under the €500,000 mark, while the half to one million euro price range offers a great deal of choice – including some very attractive homes. There are investors who are seeking out the cheapest properties in the better areas to renovate and modernise them, rent them out and establish a property portfolio that stands to produce attractive returns over an estimated five-year period. Other opportunities are presented by the personal circumstances of individual homeowners, as described in the previous market report. Since some have continued to suffer financial losses in the economic climate of the past year, their misfortune is providing an investment opportunity for others in the form of an urgent need to sell and accompanying reductions in price. For DM Properties, last year’s prognosis of what is and isn’t selling held true in terms of the company’s own results and its observations of the market in general. As a specialist in luxury real estate, DM Properties focuses almost exclusively on the mid to higher end of the market, and saw sales rebound from the 2008/2009 period. During the period since the last market report was published, prices in this segment largely stabilised and demand solidified. The company registered a solid volume of enquiries, as well as some very significant sales. Though prices generally stopped dropping, the unusual duality of the market, where similar properties in close proximity can vary quite considerably in price due to the owners’ respective circumstances, continued unchanged. Having always been proponents of honest and realistic price valuations, DM Properties has gained a name for accuracy and reliability in this field, a fact that has seen it become the chosen reference point for several leading international real estate organizations. Where in the past it was vendors who often maintained unrealistic price expectations in terms of the value of their property, it is now often the buyer who thinks he can ‘steal’ a property on the Costa del Sol. One of the current characteristics of the market, therefore, is a tendency to think that all property has dropped by half or more in markets such as the Costa del Sol. It is a disparity between expectation and reality that is fuelled by the press in countries such as the UK, where reports on the ‘Costas’ are often tinged with a touch of sensationalism. The result is that a lot of potential buyers come over with unrealistic figures in mind – a point reflected when they make offers far below the asking price and negotiation with the vendor slowly grinds to a halt. This is particularly true of the mid to higher price range, where price elasticity is generally less pronounced than in the lower bracket. One indication of value for money is that in today’s resale-dominated market, prices have in many cases dipped below replacement level, having dropped much faster than construction costs have done. Though a lot of potential sales are invariably lost to the market due to unrealistic expectations, the more serious or indeed informed buyers adjust their offers accordingly and still come away with deals that would have been unimaginable just a few years ago. Many of the people currently buying quality real estate in the Marbella area are therefore not so much investment-driven but rather lifestyle-driven buyers who have reached a stage in their lives when they want to enjoy the good life in a place such as this, and believe now is the right time to make the move. This, in fact, is very much the kind of person now buying property in the price bracket starting a little below one million euros up to around four million. Typically, they are upwards of 40, of independent financial means, and in many cases looking to spend time here whilst maintaining a presence back home. Unlike at other times, when a particular nationality drove the market, today’s buyers are diverse in origin, though it has been noted that the Scandinavian and Dutch markets have remained very stable in comparison to others. Much has been made in recent years of Russian and potentially Arab buyers, a market that stretches beyond the ten million euro mark. While it is true that the small but affluent Russian expatriate community in Marbella is perhaps the single most important market for top-end luxury products and services, the sale of properties above ten million euros is slower than one might have imagined. A contributing factor to this may be the over-pricing of properties in this segment, where owners continue to think in terms of what their property was worth not so long ago, rather than what the property cost them, and are therefore loathe to drop prices sufficiently. As for the Arab market, there has been no dramatic increase in interest, though with Qatari funds heavily invested in significant local projects in the Marbella to Málaga region there is a very good chance that the area will receive renewed attention from Arab buyers. The high degree of stability in this region is also likely to attract homebuyers and investors from the MENA countries. Those properties that are most in demand, and have best held their prices, include quality apartments, penthouses and villas in the best locations. The latter is particularly important, and involves ideally a combination of good recent construction in a well-established exclusive area that is highly consolidated and offers little land left for developing. 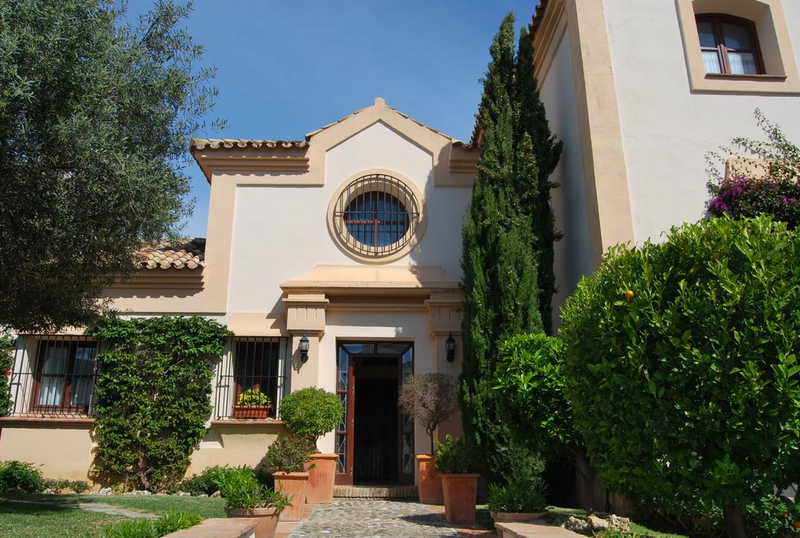 It is in such areas that properties remain highly sought after, with desirability and price dropping as you fan outwards from Marbella’s best suburbs and to newer areas with more land for future development. As always, desirability is related to exclusivity, as defined by the attractiveness, accessibility, privacy and quality of real estate in a residential area. As the year nears its end we look anxiously towards 2012. This year was the best so far for Marbella since the credit crunch hit in 2008, but the crucial point is whether this recovery will be allowed to continue or if a second financial crisis will drop Europe back into the much-feared ‘double-dip’ recession. The first of the banks to run into trouble due to exposure to especially Greek debt have been saved and nationalised, but there are two key questions that will determine which way the European economy goes. First is of course the sovereign debt of countries such as Greece, Portugal, Ireland, Spain and Italy. Faced by the mutually contradictory needs of balancing the books and stimulating the economy, the sheer scale of the debt is forcing most countries to focus on reining in their expenses at the cost of choking off economic recovery. Debate may rage as to whether we need to return to good old-fashioned Keynesian government-led stimuli and arbitration-style management of the economy, but at the moment the money simply isn’t there, as the state is much sicker than the private sector. To make matters worse, what Southern European countries really need now is the ability to devalue their currencies and follow an independent monetary policy that suits their needs, not those of the largest economies, notably Germany and France. As part of the Euro system, however, such options are not available. Many have been citing defection from the Euro as a very real and perhaps desirable option, particularly for Greece, which is bringing its current budget deficit down to around 2.5 per cent of GDP – the point at which countries historically are tempted to default and ‘go it alone’. However, since Greece is hardly an exporter in the style of Germany or Japan, a dramatically devalued Drachma would hurt more in terms of costly imports than it would gain the country in cost-competitiveness. The European Union will therefore do whatever it can to keep the Eurozone together by containing the Greek problem and avoiding a potential domino effect that would roll across the northern shores of the Mediterranean and perhaps not stop there. While there is pressure on all to tighten the belt, it is the more robust economies of the north that are having to jeopardise their own economic recovery by providing emergency relief funds for countries like Greece. Though Chancellor Merkel and President Sarkozy promise us they have come up with a plan, many observers still think a Greek default is hard to avoid. Much will depend on whether the European leaders will be able to orchestrate an orderly ‘part-default’, or even avoid default altogether, or if Greece will fail spectacularly and have to declare itself bankrupt – potentially dragging a large chunk of the European banking system with it. Is there enough cash to go around? Either scenario requires huge sums to prop up the system. Firstly, if Greece is to be saved from the worst fates and the Euro is to be kept intact, the EU will have to continue lending large sums to its weaker neighbours and banks. If, on the other hand, Greece defaults there will have to be large funds available to keep the worst affected banks from being dragged down as well. According to a recent study by Ernst & Young*, the €440 billion in the reserves of the European Financial Stability Facility is nowhere near enough. They estimate the figure required to patch up all the potential holes to be nearer €2.5 trillion. The pressure is therefore on to find a solution to the Greek Issue, stop it from spreading to other parts of Southern Europe, and turn the tide of falling stock market indexes and consumer confidence. If they get it wrong, it is feared that Europe will face another recession that will last at least two years and cost another 2-3 per cent in negative growth, not to mention severely weaken the continent’s longer-term position in a changing and challenging world. Get it right and they will not only have saved us from that fate, but also enabled the fragile economic recovery to continue and slowly gather pace. 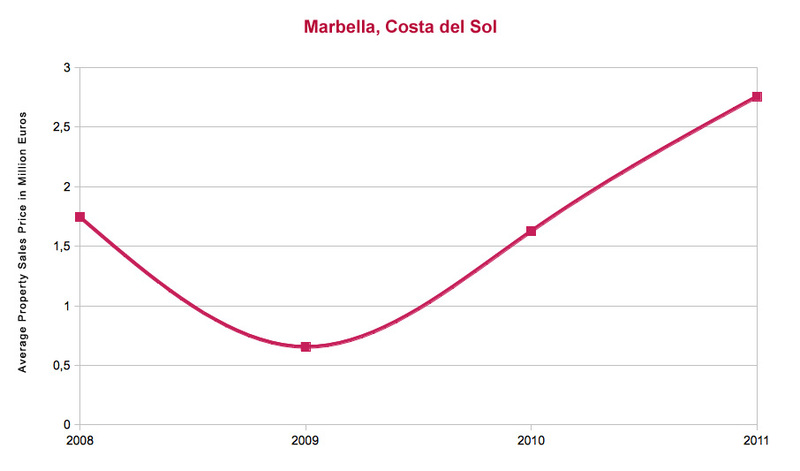 Unlike the primary national housing market, the secondary market in places like Marbella is almost more dependent on Northern European economic conditions than it is on the state of the Spanish economy. This means that for now it is rather well protected from the worst of Southern Europe’s woes, but if the less positive scenarios sketched above drag all of Europe into a new recession the region’s traditional market would suffer and decline too. Zoom into the luxury segment of the market, which plays a prominent role in places such as Marbella and Sotogrande, and the effects are even more cushioned. While many wealthy people in the developed countries have suffered losses recently, others have been snatching up prime assets for relatively little money, yet there has of late been a tendency towards financial consolidation and reduced extravagance. This cannot be said for the rising ranks of super-wealthy in the developing world, many of who are having their first taste of serious wealth within cultures where there are few if any checks on displays of prosperity and power. Do such countries represent Marbella’s great new hope? We don’t think so. While it would be foolish to ignore the fact that especially the luxury market is becoming increasingly global – both in terms of destinations and buyers – only a small trickle of people from China, India, South East Asia and Latin America can be expected to look towards Southern Spain in the immediate future. A renewed fall back into economic recession and financial crisis will certainly hurt the property market in general, with prices dropping further and little or no finance available to anyone but the most solvent of buyers. The latter will also be keen not to overstretch themselves, but as we have already seen with gold, people look for solid stores of wealth in uncertain times. With interest rates at an all-time low, stocks decidedly unpredictable and even industrial commodities no longer performing so well, gold and other precious materials have become almost the sole refuge of wealth. As a result, their values have soared through the roof, and while this will continue if the economic scenario pans out for the worse, other solid alternatives will become attractive too. Among these are land and property; land in locations with good potential in the near future, be it for agriculture, property development, forestry or some form of energy generation, and real estate that represents an ongoing desirability based upon its inherent quality and above all a location that is limited by scarcity of supply. 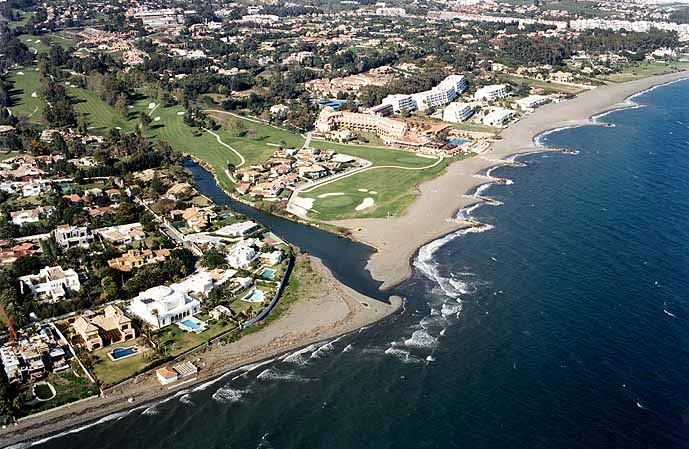 While land of the above description exists in Andalucía it is the real estate that you will find in Marbella. We all hope that further economic recession can be avoided as it would have consequences for us all, but it seems likely that demand will continue to exist for the best that Marbella can offer – even if the drivers for it will have shifted somewhat. Too many big questions hang in the balance to make any sensible judgment at this stage, yet what we can say is that in the case of Marbella there are some positives to build on. After the doom and gloom of the immediate post-crash period came a series of large-scale projects designed to lift the region’s prospects and prepare it for future success. While the pace of progress has been slow on road improvements, the airport terminal and a second runway are now completed and the political will to beautify the region and provide rail links, parks and more beach promenades appears to be solid. 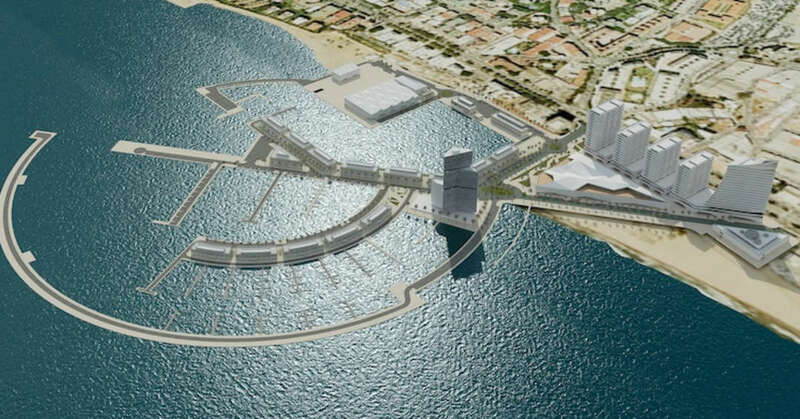 A strong boost to such plans is the new harbour project in Marbella, and though some question the need for another luxury marina complex with hotel, shopping centre and cruise terminal, the large investment forthcoming from Qatari investors will certainly provide a welcome injection into the local economy. Add the best summer tourism season in years and plans not just to redevelop the industrial area on the eastern side of Marbella, but also to establish a business centre, and the potential is certainly visible. A recent visit to the Gulf States by the mayoress of Marbella, Ángeles Muñoz, yielded some valuable potential investment projects, most prominent amongst which is the agreement to create a business university in the Nueva Andalucía area. Featuring a 500,000 m2 campus, it will be a faculty of the prestigious Regent’s Business School of London. Those initiatives that are dependent on public funding will have to progress slowly for now, but the desire of Qatari and other solvent investors to commit themselves to large-scale projects confirms what we already know: that no matter what happens in the short term the fates of climate, lifestyle and location look favourably upon this part of the world in the long run. Add to this the fact that the European ‘baby boom’ generation is reaching retirement age and you need only look at the US to see how that could benefit places such as the Costa del Sol. Generally the most solvent part of the European population, with solid savings built up through a lifetime of gainful employment and a reasonably thrifty way of life, these millions of Europeans could provide a powerful boost to the local market in the years to come. 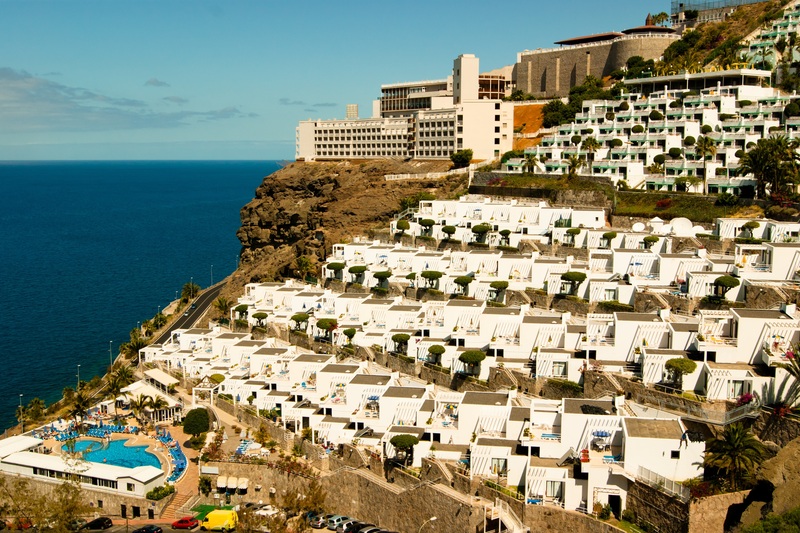 While by no means all wealthy, many have enough liquidity to buy summer homes or relocate to Southern Spain on a permanent basis, and they have started doing so already. With the contribution of Diana Morales – Chairman of Diana Morales Properties; Pia Arrieta – Partner/Director at Diana Morales Properties; Roberto Quintana – Senior Property Consultant at Diana Morales Properties.